Tsuba with a landscape in China paintings style: wild geese, flying over the river in the moonlight. 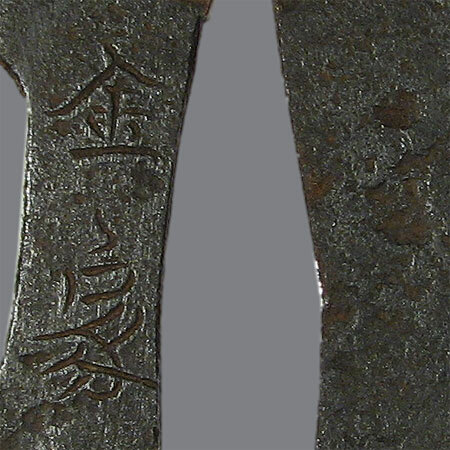 The designs with geese are often found on Japanese sword fittings. Perhaps this is due to the stories of several military heroes who had achieved victory in battle when a sudden breaking of ranks by flying geese signalled an ambush. 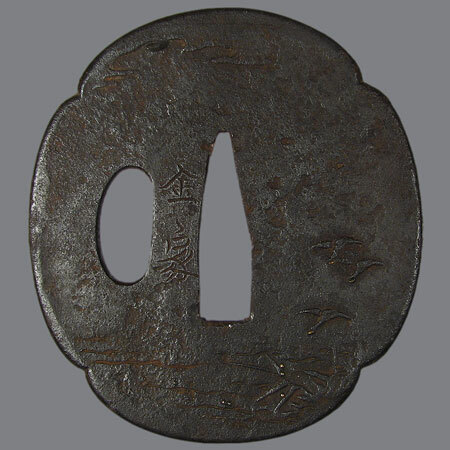 Inscription - 金家 (Kaneie). Made in style of Kaneie's works. Iron, tsuchime, takabori and zogan with copper, gold and silver. 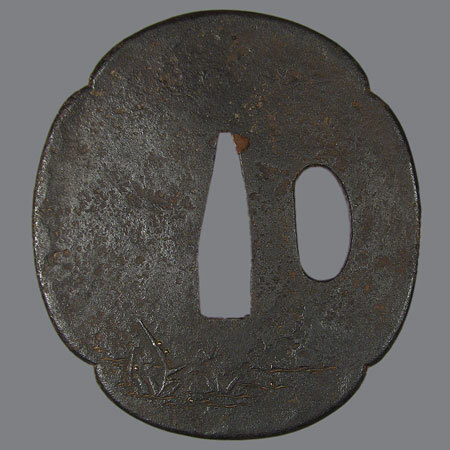 Mokko Gata, sukinokoshi mimi; 6,6 х 5,9 x 0,2-0,4 cm.